The Orchid Spring Wreath (upper left) by Sarah of Bombshell Bling really makes a statement. I can be made with a from, pretty fabric, and flowers. The Monogram Spring Wreath (upper right) by Lani of Life Anchored recycled a fall wreath by changing out the flowers and adding a colorful initial. Her tutorial might inspire to do a wreath makeover of your own. The Burlap, Lace, and Button Wreath (lower right) by Jennifer of Busy Being Jennifer is fun and colorful, and a great way to use up extra craft supplies. 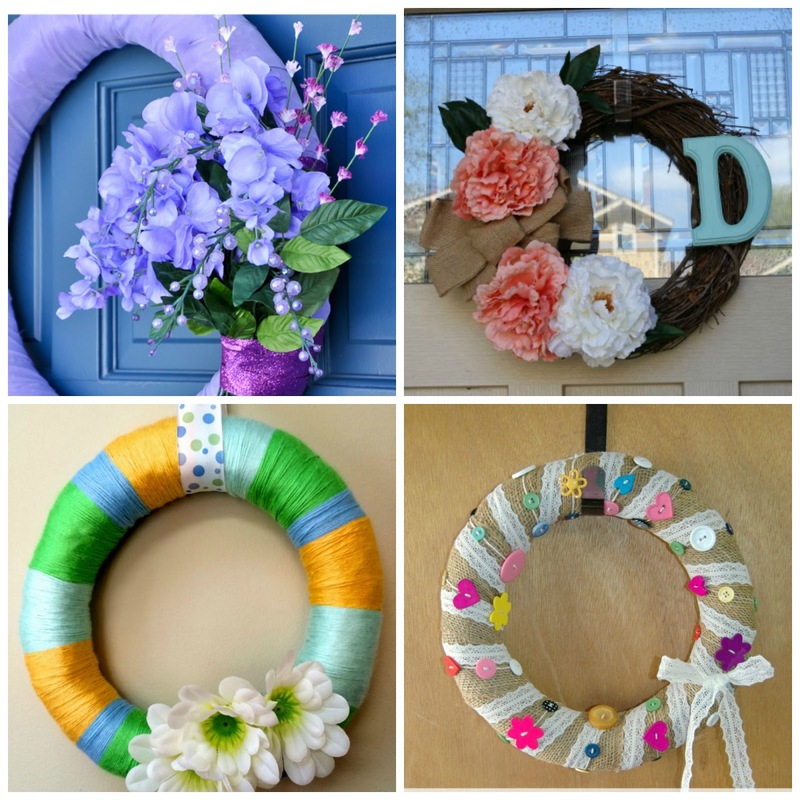 Be sure to stop by these blogs and see how they made their wreaths. Thank you Sarah, Lani, Jennifer, and Jennifer for sharing your creations on Dare to Share!